The division's factories produce a wide range of carbon, alloyed, structural and tool steels required by companies operating in heavy engineering, aircraft and automotive industries, construction, oil and gas industry, and piping & tubing production. UMMC-Steel's production facilities are situated in the largest industrial centers in the Urals and Western Siberia, close to the federal inter-regional traffic arteries. UMMC-Steel's customers include over 1000 companies from 30 Russian regions, the CIS countries and elsewhere around the globe. UMMC-Steel produces a wide range of products using more than 350 carbon and alloyed steel grades. Our quality management system and production are certified by TÜV SÜD. We have experience in manufacturing steel products that conform to the DIN, AS, AISI/SAF/ASTM international standards. a highly efficient division of ferrous metallurgy, operating on the basis of economic development parity and environmental responsibility in accordance with high quality standards of production processes. 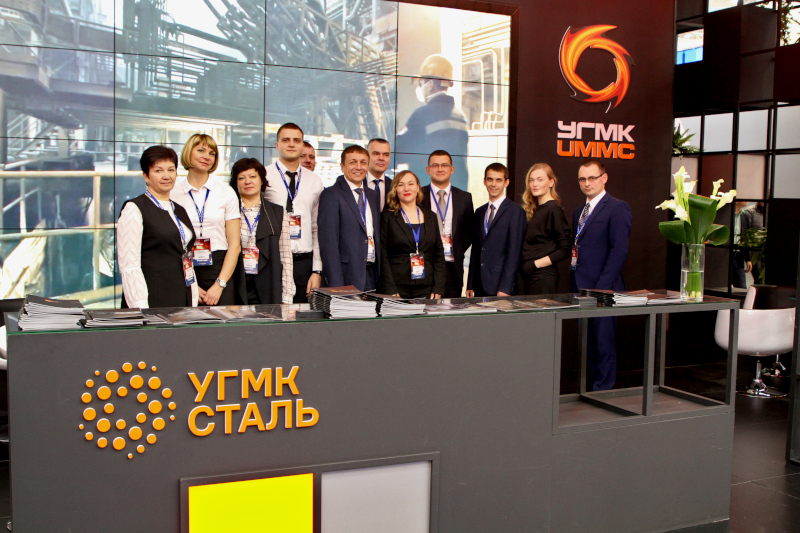 UMMC-Steel has united three enterprises: Nadezhdinski Metallurgical Plant, Tyumen Electrosteel and Bogoslovskoye Mining Group.